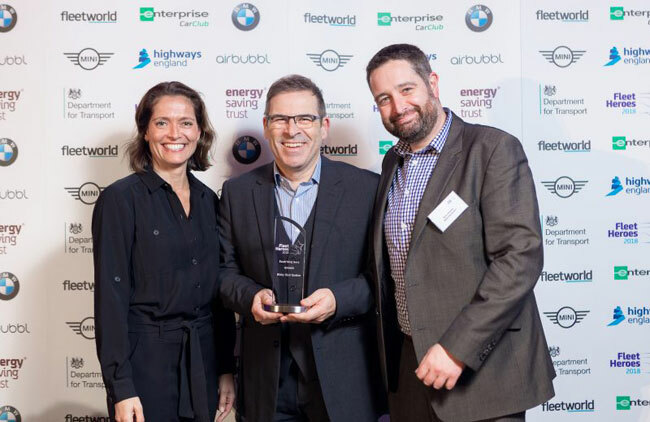 Bibby Distribution’s cast-iron commitment to cutting its carbon footprint has seen the logistics provider win the Freight Hero and Ecodriving Hero awards from the Energy Saving Trust, in partnership with the Department of Transport. Awarding the Freight Hero accolade, sponsored by Highways England, judges commended Bibby Distribution’s significant investment in lower-emission vehicles, which has seen particle emissions reduced by two thirds and nitrogen oxide emissions cut by 80 per cent. The panel was also impressed at how Bibby Distribution has substantially reduced the number of journeys it makes through widespread use of longer semi-trailers (LSTs), high-cube trailers and bespoke triple deck trailers – in some cases increasing a single truck’s capacity by 35 per cent. In the Ecodriving Hero category, Bibby Distribution stood out for its tailored driver training programme which centres around telematics reports and continuous coaching. The focused initiative has seen drivers increase their average MPG figures by seven per cent, substantially reducing fuel costs and emissions for the business. All of the initiatives recognised by the awards judges, form part of Bibby Distribution’s long-term ‘Road to Zero’ strategy which aims to eliminate harm, waste and environmental impact. Andrew Mawson, Bibby Distribution’s Head of Safety, Health, Environment and Quality (SHEQ), says: “We have a responsibility to protect the environment while at the same time giving our customers the best performance possible, which is why we have put such focus and investment into our fleet and our team.